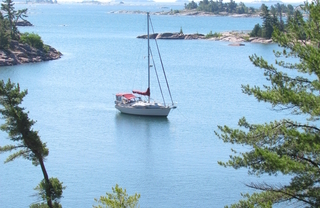 Join Joe McKeown as he guides us through the Northern Georgian Bay from Byng to Killarney. This area is largely wilderness, has a variety of wonderful anchorages and is unique in the Great Lakes as many of the waters are unsounded. You need a sense of adventure to cruise here. If that's you, or if that's what you are aspiring to, you don't want to miss Joe's outstanding presentation, Cruising North Georgian Bay. Click here for more information and to register for class.